Recently, a design colleague asked me about the nature of my business. I explained that I’m a designer and brand communications consultant. I ensure that my clients’ visual communications are consistent with their brand image and messaging. He told me he does all that too, but he also creates brands. My reaction was, “do you really”? It got me thinking. 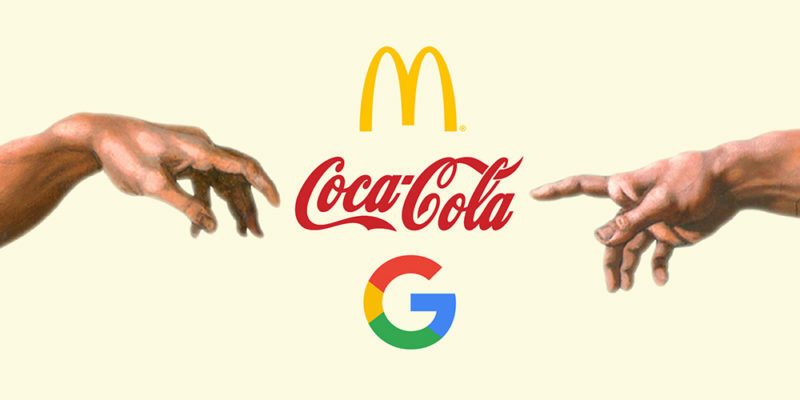 Can brands be created? Brands can be defined, expressed, managed, steered, shaped, evolved—and they can certainly be damaged, but can they be ginned up out of nothing? My 30 years of experience in the business tells me the answer is no. Here’s why. First, let’s consider what a brand is and what it is not. Some confusion comes from the name itself and its historical origin. When livestock were left to wander on open range lands, it became difficult to sort one owner’s animals from those of another. As a result, they were marked with a unique symbol or “brand”. Each brand came to be known and associated with a particular owner, making it easier to separate livestock and return them to where they belonged. Later, businesses adopted symbols to represent companies and their products and separate them from competitors. These logos were a logical extension of the agrarian concept of branding and the name was adopted. Over time, however, the definition of a brand has expanded to take on new meaning. Today, a brand is no longer embodied in a logo. It goes far beyond that. It encompasses more than just the way a company presents itself to the world. It’s more than an identity, an ad campaign, a product package, a set of visual guidelines or even all of the above together. At its essence, a brand is a collective perception about a company. A brand doesn’t live on a printed page, a website, or on store shelves. It lives in the mind of each person that comes in contact with the company. It’s the sum of all public perception based on unique individual experiences—and those experiences can vary widely. Arguably, brands happen whether they are “designed” or not. Every business has a brand. Brands exist at every point where a business interacts with a customer. Those interactions result in an impression in the customer’s mind. The impression may be good, bad or indifferent. It may be unfocused or inaccurate, but it exists nonetheless. Since it’s impossible to control what impressions people draw for themselves, creating a brand is not really feasible. Strong brands are inspired more than they are created. They evolve organically when a company knows who they are, what their customers desire, and endeavor to fulfill those needs in a way that not only meets but surpasses expectations. Smart companies keep an ongoing dialog with their customers and engage them on an almost visceral level by paying attention to their needs and delivering a consistently delightful experience. So, if brands aren’t created, where does design fit in? Design plays an important role in visually expressing a brand’s “personality” and encouraging the right kinds of customer interactions—making it easier for them to connect to the brand emotionally. I like to think of visual design, whether it be in the form of products, identity, packaging, online communications or literature, as the public “face” of the brand. But that’s all it is. It’s an expression of the brand, not the brand itself.